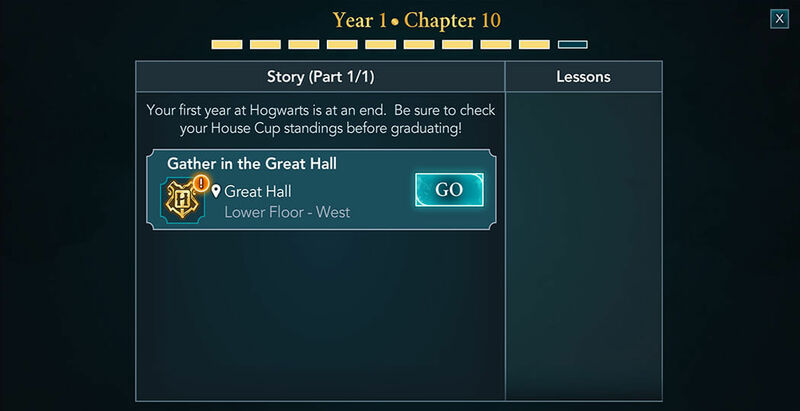 Hello everyone, are you ready for Chapter Ten of Year One of our Magical Journey Walkthrough for Harry Potter: Hogwarts Mystery? 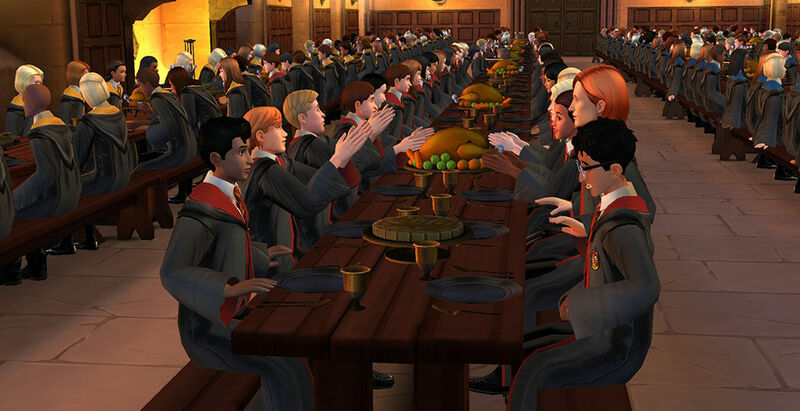 This is the final Chapter of the First Year of our Hogwarts studies. There were a lot of things that happened in this Year. You got to make some new friends, some rivals, you learned a lot of useful lessons, and you managed to find some clues about the Cursed Vaults. Now is the time for the end of the year ceremony. 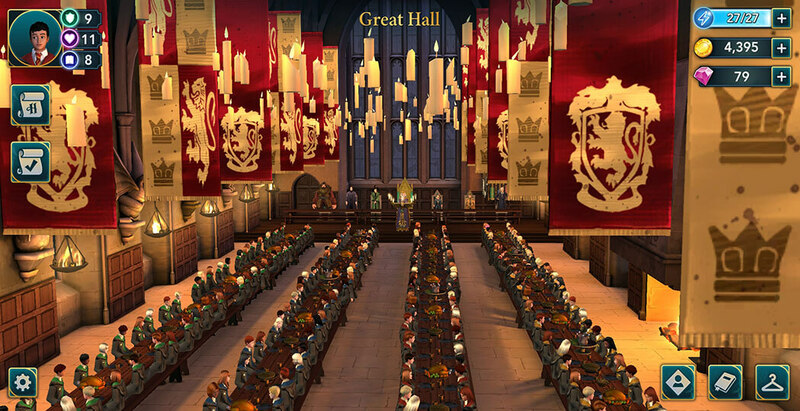 So, tap on the GO button and proceed to the Great Hall. When you get there, you will see your House decorations all around the Hall. 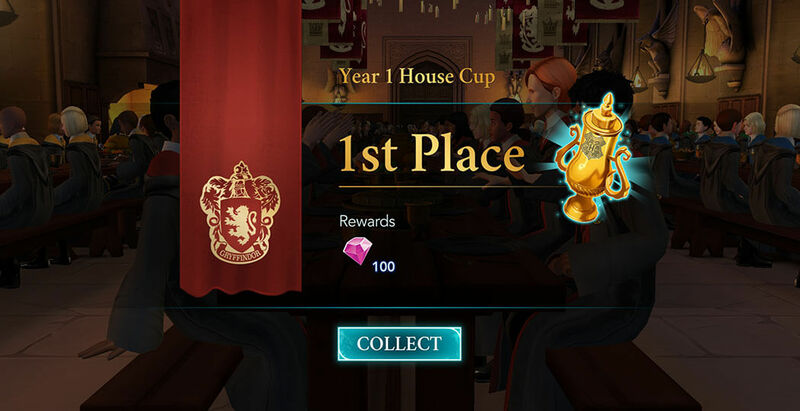 This alone should give you some hints for this year’s House Cup winner. 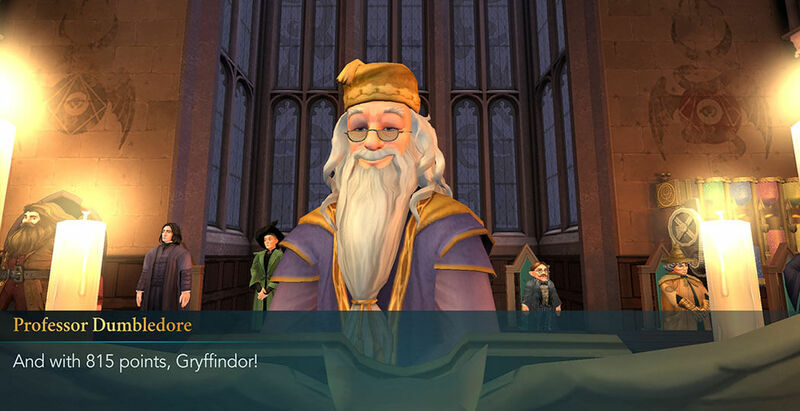 Professor Dumbledore will hold a graduation speech for all the students and will start announcing all the houses and their points. 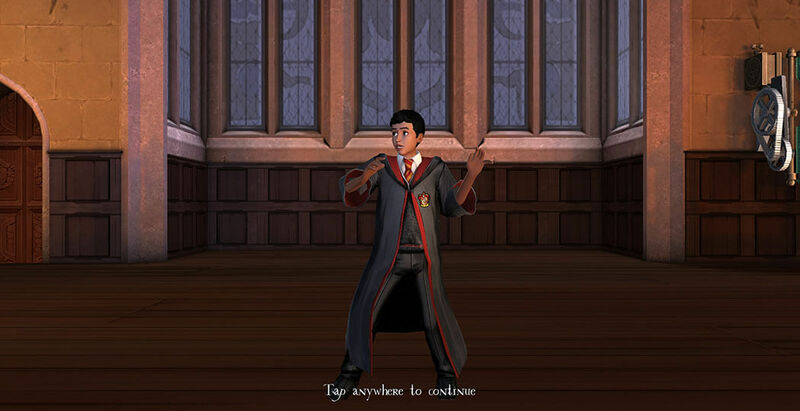 And finally, he’ll announce the House Cup winner! All of your housemates will be excited to hear the announcement, and a big part of it was thanks to your contribution! 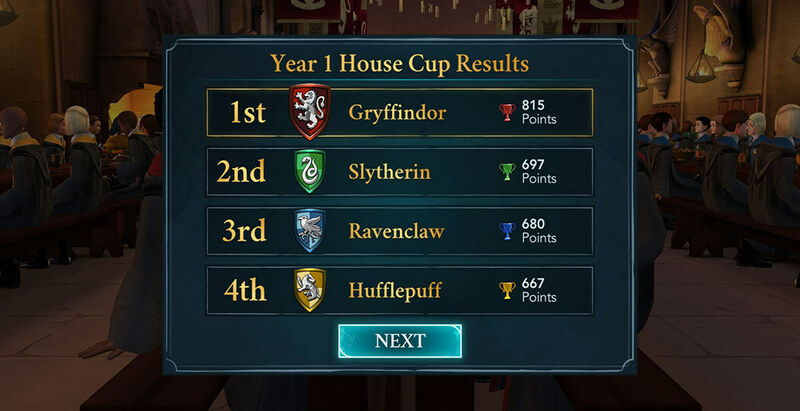 You’ll be able to see the standings and the points that each house earned. Congratulations! This reward was truly well deserved. Tap on the Collect button to get your amazing reward – one hundred gems! 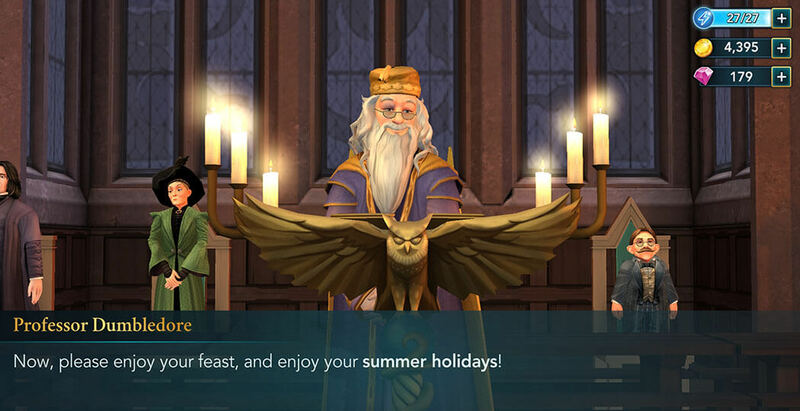 Professor Dumbledore will wish all the students happy holidays, and with this, the First Year of your Hogwarts studies is over. Take your time to enjoy the fireworks and the beautiful night sky. 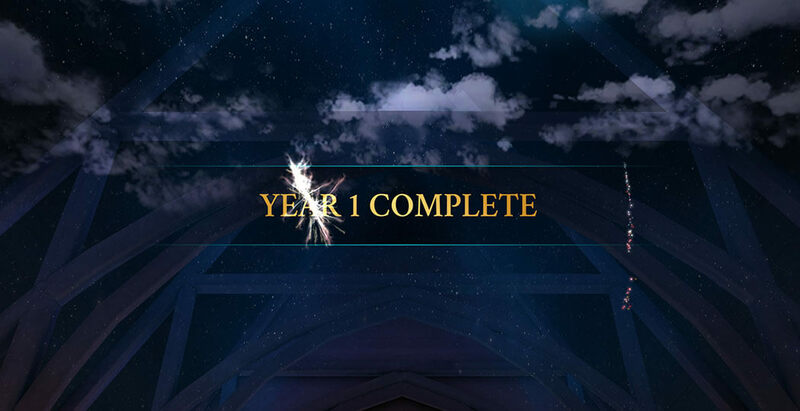 And this will conclude the First Year of your Hogwarts studies. What an amazing year it has been! However, many questions still remain unanswered, many mysteries yet to be solved, and many secrets hidden. But do not worry, there will be many more lessons to learn, many things to explore, and many adventures to be had until our journey is over. 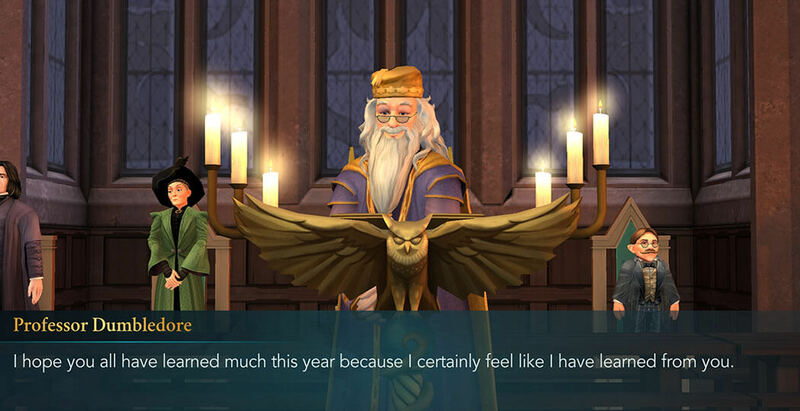 What were your favorite moments from year one? What classes did you enjoy the most? Which character was your favorite? 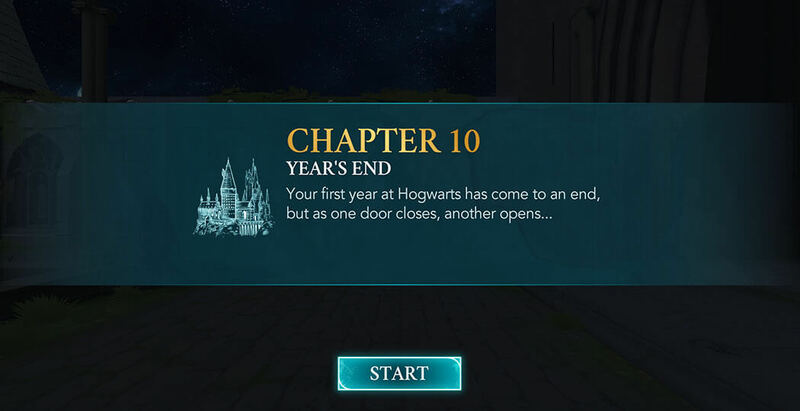 What chapter did you find the most exciting? Let us know in the comments. 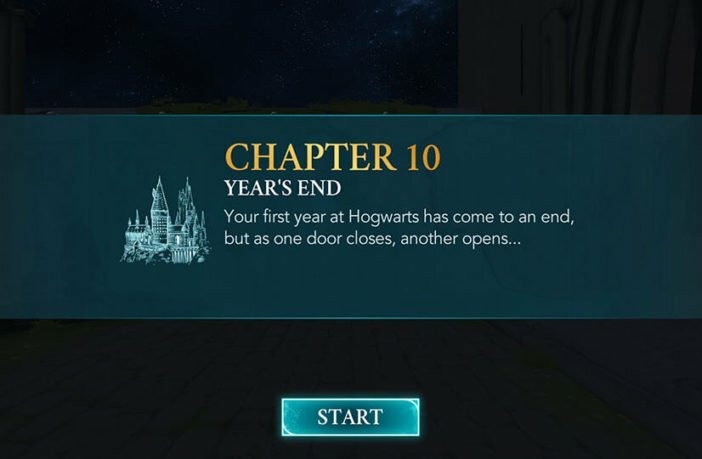 Thank you for reading and see you soon with Year Two of our Magical Journey!